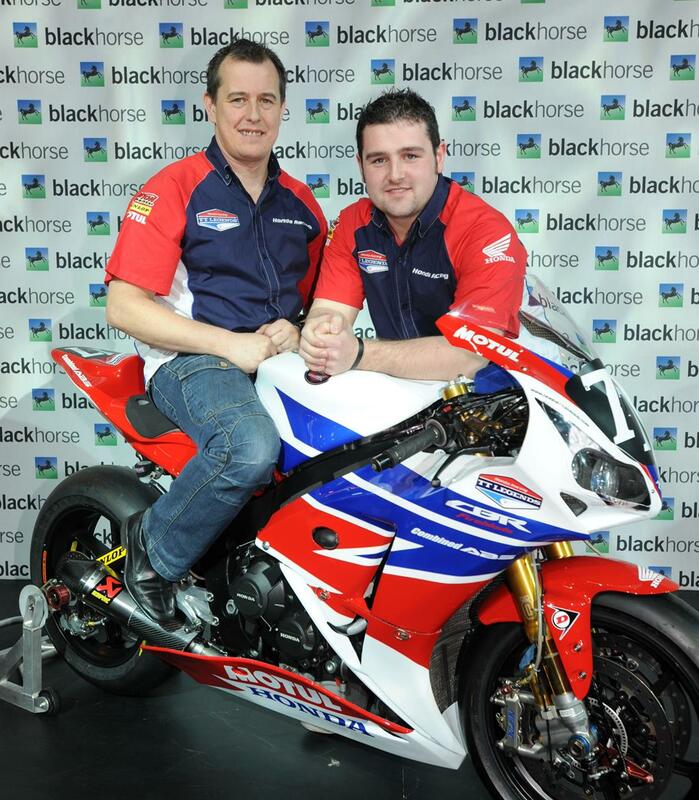 Northern Irishman Michael Dunlop will join the Honda TT Legends for their 24hr world endurance events this season. Dunlop, originally signed to compete at the North West 200 and Isle of Man TT, will join John McGuinness, Michael Dunlop and Simon Andrews as the team's reserve rider following the departure of Cameron Donald. Dunlop tested with the Honda team in France and Spain last week, impressing the rest of the team with his pace at Miraval and Ablacete. He will also act as reserve rider for the Japanese round at Suzuka, although he will only travel if one of the other riders cannot. A date clash with the Ulster Grand prix means he'll take no part in the German round at Oschersleben. Team manager Neil Tuxworth said "Michael came to Albacete last week with the priority of testing his TT machine, however we also gave him the opportunity to ride the EWC bike. We were very impressed with Michael’s approach to testing, his consistency and the information he was able to feed back to the team. "In addition, with the efforts he has made with his training and physical fitness so far, we feel he deserves the opportunity to become the fourth member of the EWC team. We are very pleased to welcome him to the endurance side of things and we’re looking forward to working with him in 2013 to further develop his career." Dunlop commented "It’s a great opportunity for me to join the EWC side of the Honda TT Legends as well as doing the road racing. I spent a decent amount of time with the crew in France and Spain last week and put a good few laps on the bike, so I already feel like part of the team". "I’ve not done endurance racing before but I’m sure I’ll get to grips with the short track laps soon enough. Spending more time on the bike can only be a good thing in terms of bike fitness, and that all helps on the roads so I'm looking forward to getting stuck in."